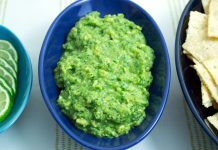 Tomatillo salsa is also known as Salsa Verde, and you can probably find it in the international section of your local grocery store. 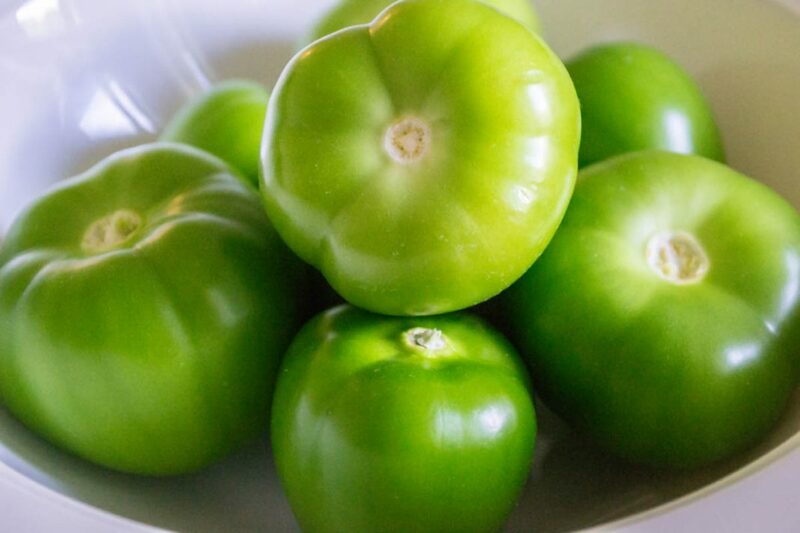 The salsa in jars is pretty decent if you’re in a pinch, but most of the jarred salsas are cooked, which takes away the fresh, vibrant flavor of the tomatillo. 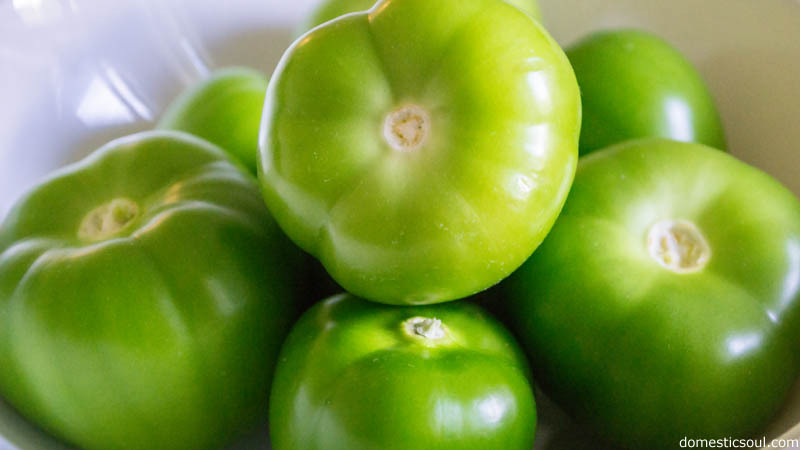 Personally, I think tomatillo salsa should be fresh – or even better, fresh and fermented. 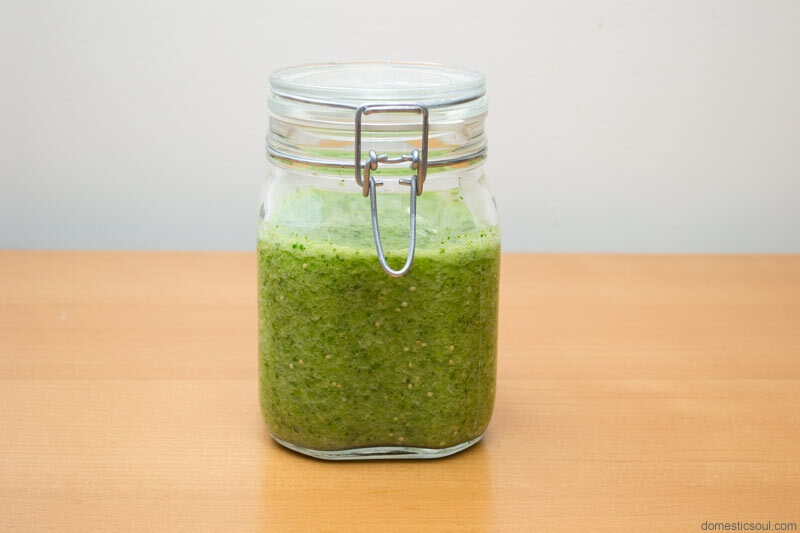 Fermenting fresh tomatillo salsa adds what I can only describe as a “zing”… a little extra sharpness that isn’t spicy, but makes the salsa taste more… alive. Which is probably because it is alive. 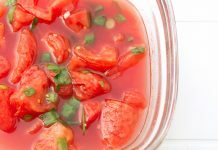 By fermenting the salsa, you are adding all those lovely little probiotic creatures that are a boon to gut health. So, you not only enhance the flavor, but you also keep your stomach happy. What a win-win! Step 1: Peel the outer leafy covering off your tomatillos and wash them. Then dice the rind-free fruit. Step 3: Remove the seeds from the jalapeno and dice. Note: I used a really large jalapeno for this recipe. 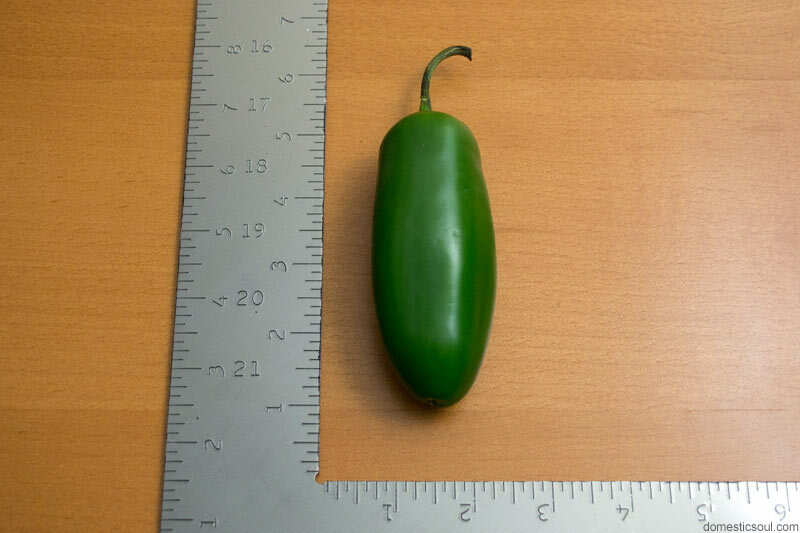 It was probably about the size of two regular jalapenos. So, if you can’t find one this large, I’d substitute two. Step 5: Chop tomatillos, green onions, garlic cloves, and cilantro. Size of chop should leave you with small pieces, but it doesn’t need to be exact. 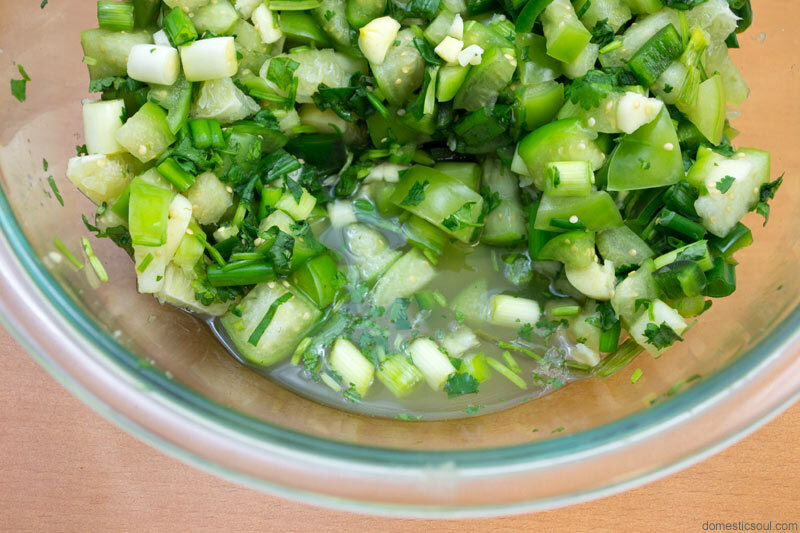 Add the items to a bowl along with the lime, jalapeno, and garlic that you chopped in the previous steps. Top with salt and toss to combine. Step 7: Using your super awesome stick blender, blend all the vegetables in the bowl together with the liquid that has been pulled out. Step 8: Add two tablespoons of whey, stir to combine, and add to a glass jar for fermenting. I used my Bormiolli Rocco Jar for this. Alternatively, you could use a fermenting jar with an airlock. Make sure to leave room at the top for expansion. Step 9: Keep the jar in a warm spot for 3 days. After 3 days, transfer to the refrigerator and snack at will! 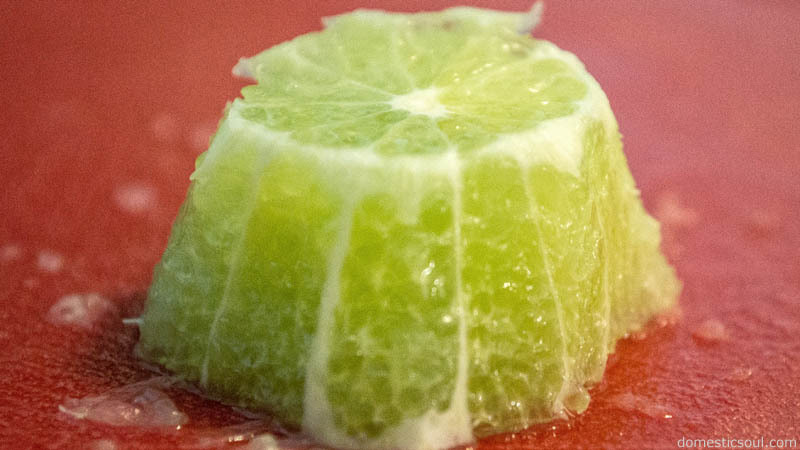 Peel the outer leafy covering off your tomatillos and wash them. 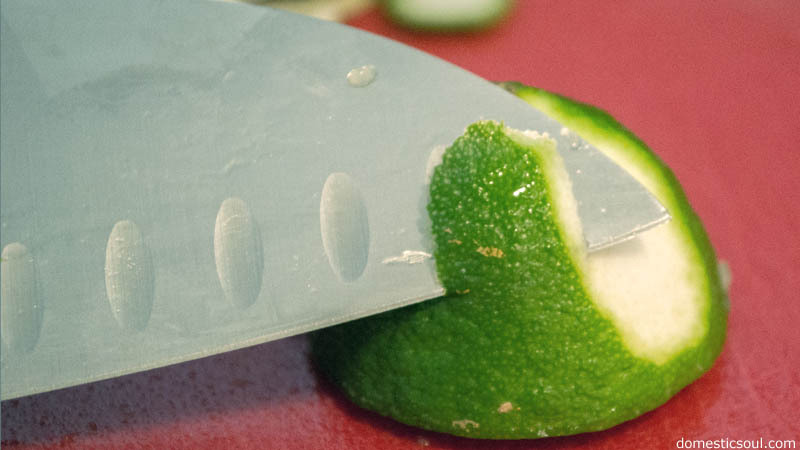 Remove the outer rind of the lime with a knife: Start by slicing the lime in half. Then, put the flat side on the cutting board and use the knife to slice off the outer rind, then dice the rind-free fruit. Remove the seeds from the jalapeno and dice. Note: I used a really large jalapeno for this recipe. It was probably about the size of two regular jalapenos. Crush and chop the garlic cloves. 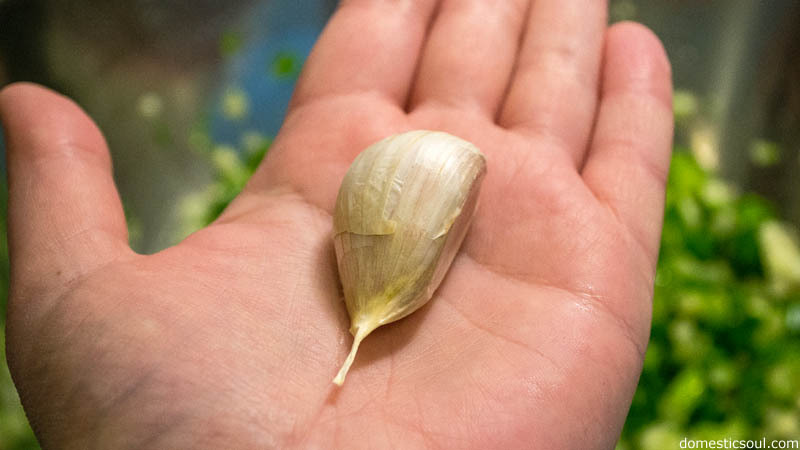 Note: I used really large garlic cloves. Like, really large. Chop tomatillos, green onions, garlic cloves, and cilantro. Size of chop should leave you with small pieces, but it doesn’t need to be exact. 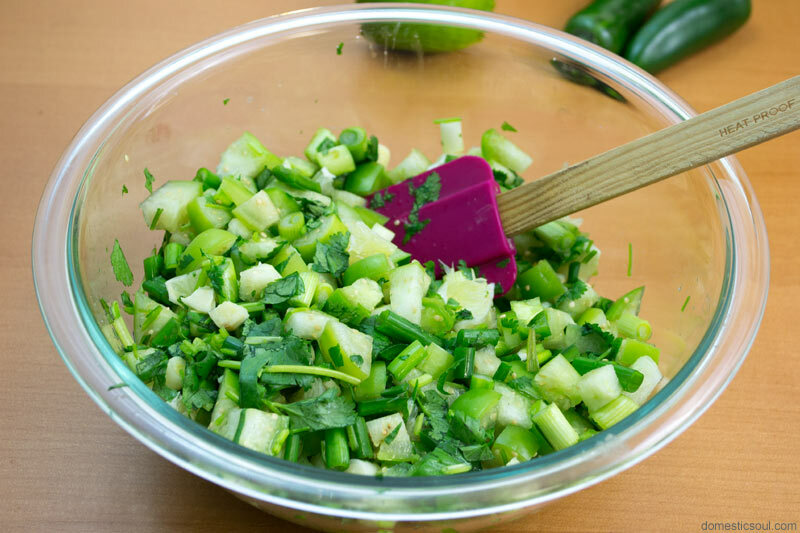 Add the items to a bowl along with the lime, jalapeno, and garlic that you chopped in the previous steps. Top with salt and toss to combine. 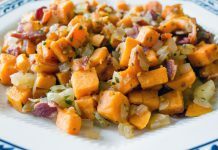 Let the mixture sit for about 20-30 minutes to pull some of the juices out of vegetables. 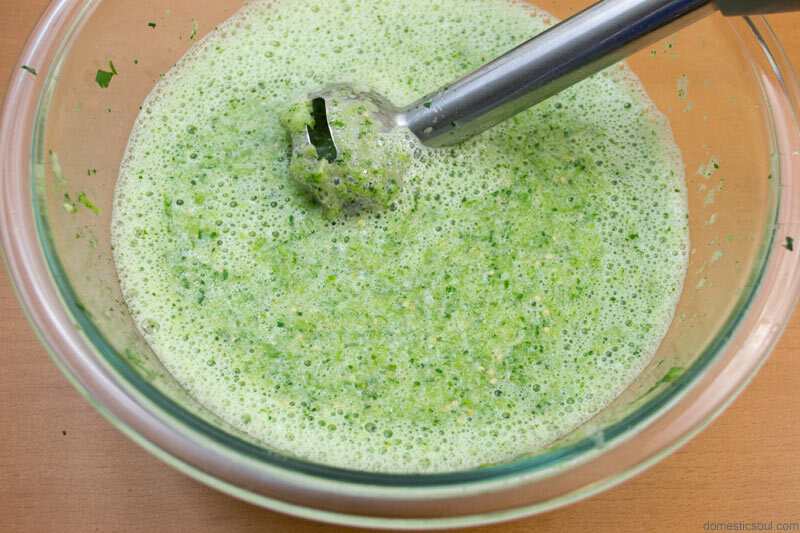 Using your super awesome stick blender, blend all the vegetables in the bowl together with the liquid that has been pulled out. 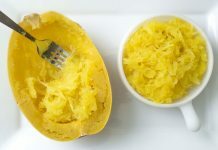 Add two tablespoons of whey, stir to combine, and add to a glass jar for fermenting. I used my Bormiolli Rocco Jar for this. Alternatively, you could use a fermenting jar with an airlock. Make sure to leave room at the top for expansion. Keep the jar in a warm spot for 3 days. After 3 days, transfer to the refrigerator and snack at will! Guess I am missing something…how many tomatillos are used? 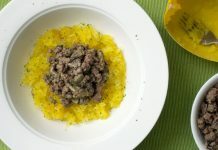 Looking forwarding to making this recipe! Thank you for pointing that out. I’ve corrected it in the photo tutorial. I accidentally left it out when I reformatted the recipe. It’s 1 pound of fresh tomatillos. 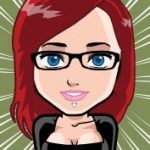 Just a note: On any of the posts I’ve reformatted, there is a link at the bottom of the post that says “Show printer friendly recipe”. If you ever need to double check me, look there, because that is the old version (pre-reformat) of the recipe. I’d hate to hold up someone’s cooking because I typo’d 🙂 Hope that helps!